Paul Kropp was born and raised in Buffalo NY and studied at Columbia University in New York. In 1970, he brought his young family to Canada where he completed his postgraduate work at Western University in London, ON. Paul’s first teaching job was at a vocational school in Hamilton, where he worked with students who struggled to learn and hated to read. So Paul took it upon himself to write a book that his students could and would read. This book, Burn Out, was the first of many engaging novels for reluctant readers known as Series Canada. 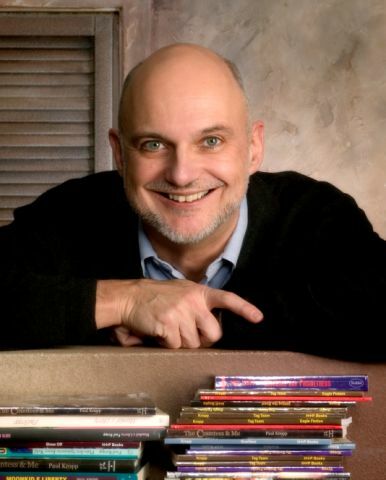 Several years later, Paul also became a publisher in Canada and the U.S. by establishing High Interest Publishing (HIP Books). Paul’s repertoire of over 70 books includes an art-history thriller entitled The Lost Botticelli and several books for parents, including How to Make Your Child a Reader for Life. But he remains best known for his novels for teen and preteen readers. Time and again he was told, “Yours was the first book I ever read right through.” Paul will be remembered by the generations of reluctant readers whose lives he touched with his books. A true renaissance man, Paul enjoyed playing his grand piano, crafting stained glass for his heritage home, studying Italian, traveling, entertaining, playing croquet, cooking elegant meals and serving his church and community. He always claimed his Ivy League education prepared him with a little knowledge on just about everything and a lot of knowledge on just about nothing. Paul is survived by his wife Lori Jamison; his sons Alex, Justin (Michelle), and Jason; his stepdaughter Jennifer (Micah) Weintraub; and his grandchildren Hayden and Rachel Kropp and Jacob Weintraub; as well as his sister Lois Nenno (Deke Johnson) and his brother Philip Kropp (Wilma Williams).